Entrepreneurs around the world are waking up to the emerging market of innovations designed to enhance and enrich the lives of seniors, although these innovations can benefit many people of all ages and abilities through their application. By 2050 in the United States alone, 83.7 million people will be 65 years old or older, according to the U.S. Census Bureau. That is almost double the 43.1 million in 2012. It’s a trend that’s occurring across the rest of the globe. Senior living companies providing healthcare are looking to emerging technologies to become more efficient and to contain care costs, said Dan Hirschfeld, president of Genesis Rehab Services. Hirschfeld spoke at Aging 2.0’s mid-October technology and aging conference in San Francisco. Genesis is a member of this global network of entrepreneurs, investors and others who are looking to build products for this burgeoning market. “I’m looking for technologies that can transform how we deliver healthcare,” he said. Emerging technologies have the potential to disrupt the senior healthcare market and thereby nudge service providers to improve their offerings, said Aging 2.0 Co-founder Stephen Johnston. Healthcare services are, of course, a big component. But there are plenty of other applications in the realms of virtual reality, media, artificial intelligence, network connectivity and robotics that promise to enable seniors to stay independent, mobile, connected and engaged with friends, family and the wider world. Several senior living operators, such as Brookdale, Revera, Good Samaritan Society, and Front Porch have established innovation centers to build a communications channel to these entrepreneurs so they can design products that seniors actually will find a reason to use. The best ideas promote engagement, according to Davis Park, director of Front Porch’s Center for Innovation and Wellbeing. “The important thing that ties all these technologies together is really not the technology itself, but how we use it,” he said, echoing peers in his industry. At their most powerful, the technologies are tools to enable seniors to engage in experiences both familiar and new, to stay safe, and to use to connect emotionally with their friends and family around them. How will it transform the aging experience? 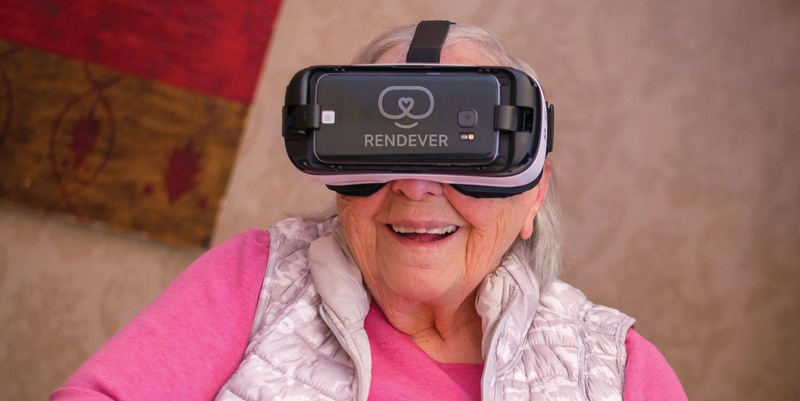 Rendever, a startup out of the Massachusetts Institute of Technology (MIT), uses virtual reality to alleviate isolation and keep life stimulating for seniors. The team at Rendever is building virtual and augmented reality experiences for seniors living in assisted living communities. Participants can either control the experience themselves or participate in a group experience led by programming teams. Dennis Lally, the company’s co-founder and CEO, says the devices also can be used for reminiscence therapy, which is a form of therapy encouraging individuals to discuss life experiences and events either with a therapist or a group. Participants traditionally share media such as photos, sounds, and music as part of the experience. For example, Rendever has partnered with Google so users of its headsets and software can use Google Earth to visit locations they’re familiar with, but may not be able to visit due to a physical limitation. Some studies have shown that reminiscence therapy can improve the moods of participants, including those experiencing dementia. Rendever is currently working with the MIT AgeLab and Benchmark Senior Living to study the impact of virtual reality on the wellness and wellbeing of seniors. Family members also can use 3-D cameras like the Samsung Gear 360 Real 360 degree High Resolution Virtual Reality Camera to photograph events like weddings and share the footage with their loved ones, who can then immerse themselves in the experience with the Oculus/Samsung Gear VR smartphone headsets using Rendever’s software. Rendever was founded a year ago and is based in Cambridge, Massachusetts. The company has tested and prototyped its system with the help of 1,000 assisted living residents. The team also participated in Brookdale Senior Living’s week-long Entrepreneur-in-Residence program, where they live with seniors in an assisted living community. 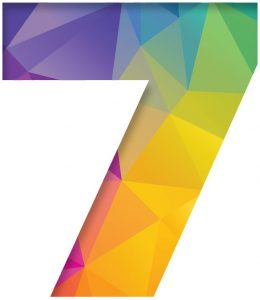 Learn more: Visit Rendever.com or visit their booth at Argentum’s Senior Living Executive Conference & Expo, May 1-3 in Nashville, Tenn.
How will it transform the aging experience? To create this dining set for individuals with limited movement in their limbs, and those with Alzheimer’s disease, industrial designer Sha Yao spent a year conducting user research and prototyping at the non-profit Institute on Aging in San Francisco. Yao also incorporated insight from a Boston University study. The study found that high-contrast red and blue tableware seemed to stimulate the appetite in those with Alzheimer’s disease. This is important, the study said, because about 40 percent of individuals diagnosed with Alzheimer’s lose a significant amount of weight. People with Alzheimer’s also can have a hard time distinguishing tableware from the food, which may diminish their food intake. 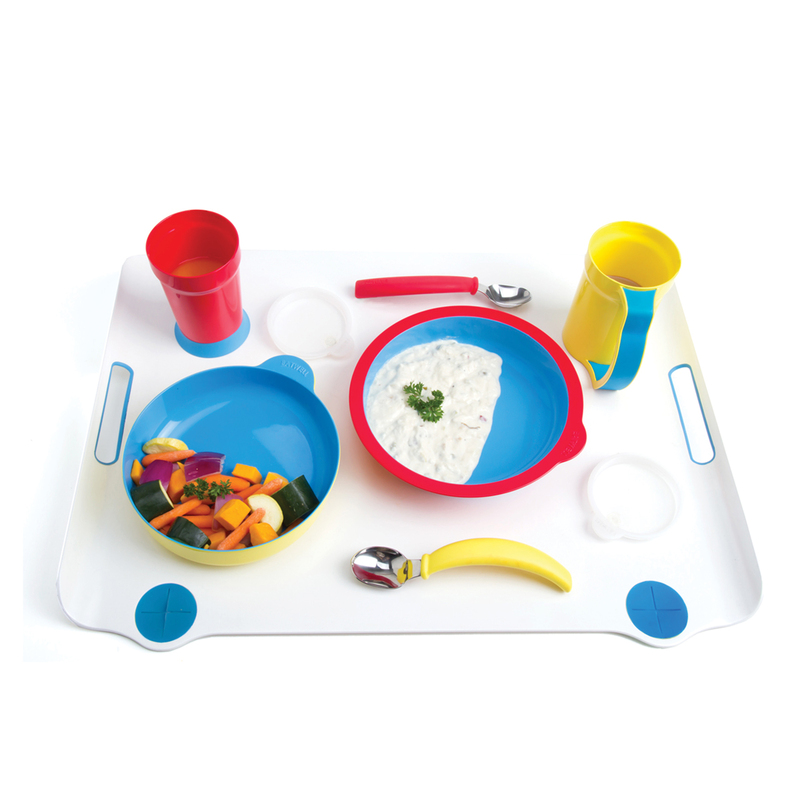 Yao’s research yielded a vibrant blue, red, and yellow dining set with 21 features designed to make eating easier for this population. For example, the insides of the bowls are blue because there are few blue foods. The bowls and flatware are curved at specific angles to make it easier to scoop up food. The Eat Well Dining Set won first place in a 2014 design competition organized by the Stanford Center on Longevity. How will it transform the aging experience? Jibo is the creation of MIT artificial intelligence and robotics professor Cynthia Breazeal who has spent her professional career researching anthropomorphic robots. Jibo has more capabilities than existing voice-activated virtual personal assistants such as Apple’s current version of Siri. For example, Jibo tells jokes and stories and mimics emotions. The robot weighs about five pounds, is 11 inches tall, and has a six-inch wide circular base. Sitting on a desktop, it swivels its “face” around and responds to voice commands; the user does not have to hold anything. You can ask Jibo to call friends and family, send emails, or take pictures and videos. It can voice your daily schedule and more. It also will be able to control the lights throughout a residence. Because Jibo is a platform much like Apple’s operating system, other developers will be able to develop applications (called skills) for it. The system also learns as it interacts with its user over time. 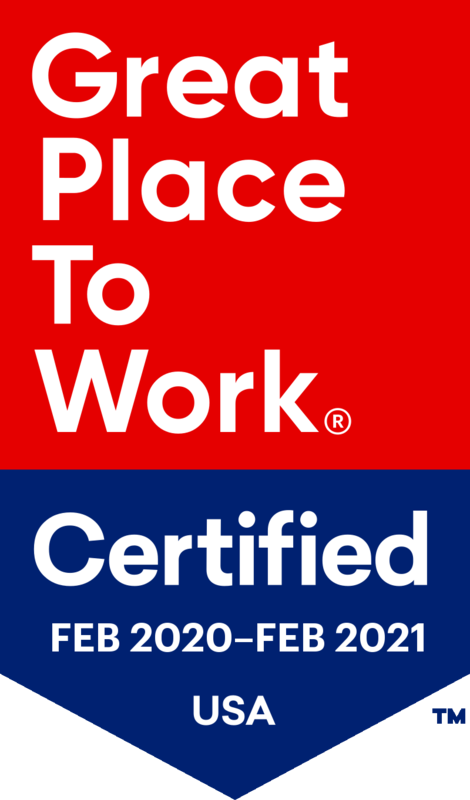 “We see it as a way to connect easily with family members over far-flung distances over the country, and as a platform to engage people,” says Davis Park, director of the Front Porch Center for Innovation and Wellbeing, which is a part of Front Porch, a group of companies that operate assisted living and affordable housing communities. Front Porch invested in Jibo through its Kickstarter campaign. The first shipments of Jibo were scheduled to begin fall 2016.
interact and control household appliances and lights, among many other things. It also plays music. 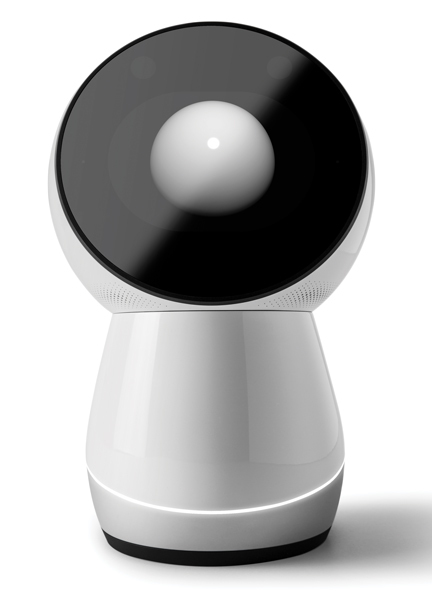 Unlike Jibo, it doesn’t have cameras and isn’t designed to be social. However, it is a platform, and Amazon is encouraging developers to build “skills” for Echo. One compelling use is the ability, for example, to turn on the lights by voice command in the middle of the night so that users don’t have to worry about stumbling around and falling. As of late September 2016, the Echo had 3,000 skills and is constantly adding more. The user can send texts and emails to contacts, play trivia games, ask Echo to give you a compliment, trade insults with it, ask it to read you the news, and hail an Uber. The device has received rave reviews on Amazon’s website from people with mobility limitations. “Our residents are telling us that they absolutely must have access to this type of technology, and we’re working very hard to discover specifically what are the best uses of it for older adults,” said Kari Olson, Front Porch chief innovation and technology officer. How will it transform the aging experience? Active Protective, a Philadelphia startup founded by a trauma surgeon and a technology entrepreneur, seeks to reduce seniors’ chances of fracturing their hips as a result of falling. Falls often lead to other medical complications that significantly decrease quality of life. 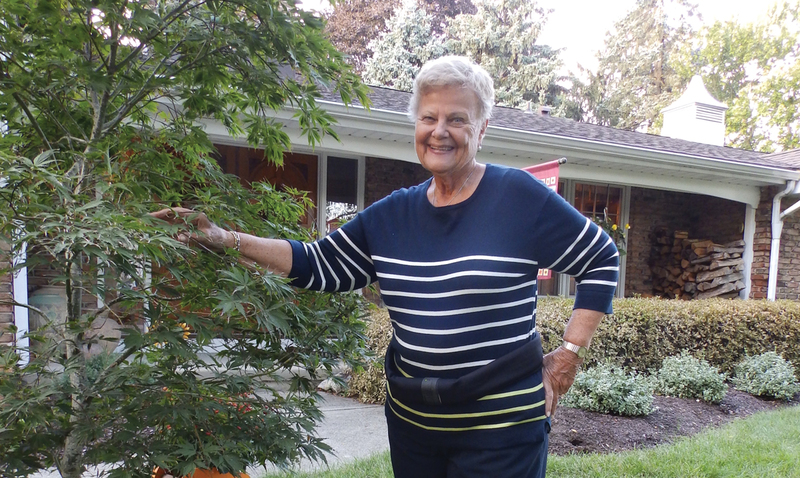 Every year, more than one-quarter of Americans over the age of 65 experience a fall, and at least 300,000 of them are hospitalized for hip fractures. More than 95 percent of hip fractures are a result of falling, costing $31 billion annually, according to studies cited by the Centers for Disease Control. “We’ve been in four phases of studies at multiple senior care providers to test the algorithm, to analyze the wearability, and usability — and what’s really important for supervised caregivers — workflow issues. We’ve had four studies, including a 28-day ‘in the wild’ study, where we left the belts, with the airbags turned off, in three of the largest senior care providers in the country, and on day 28, we did exit interviews with the staff, and the residents who wore the belts, and all of that has allowed us to refine the industrial design and the feature set to really protect the highest risk patients in the senior care center, and we think we’ve met that,” said co-founder Drew Lakatos in an interview. It weighs less than two pounds, is fitted with sensors, and deploys when the wearer falls over. It also sends an alert to caregivers at the time of the fall. Lakatos said for competitive reasons, he can’t say when the belts will be available commercially, but they will be part of a pilot study at a large supervised care community in the first quarter of 2017. How will it transform the aging experience? Individuals with Parkinson’s, multiple sclerosis or anyone else who may experience hand tremors, can now eat more easily without spilling food thanks to the Liftware device. 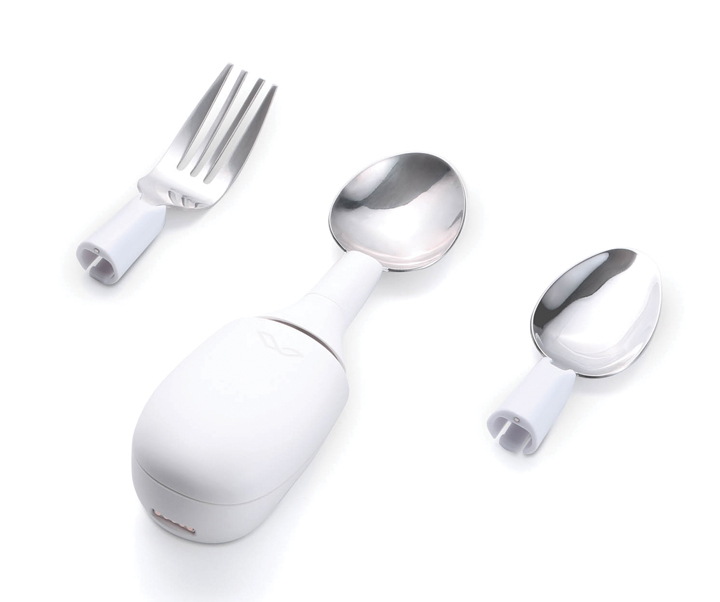 The handle detaches and can be fitted with a fork, a regular spoon, and a soup spoon. It handle contains microprocessors and motion sensors programmed to calculate about 1,000 times per second how much it should move to compensate for its user’s shaking hand. Liftware allows the attached utensil to shake 70 percent less than the hand holding it, according to a peer-reviewed clinical study of the product funded by a National Institutes of Health grant and published in the journal Movement Disorders. More details of the study are available on the Liftware website. The device comes with a charger and a storage pouch so that users can take the kit with them wherever they go; the rechargeable battery lasts for several days. The attachments are dishwasher-safe, but the stabilizing handle must be cleaned with mild detergent or antibacterial wipes. The device was created by mechanical engineer Anupam Pathak and his team. Google bought the company in 2014 and it is now part of the Google X research division. How will it transform the aging experience? As many as 11 million people in the United States have some form of age-related macular degeneration and the number is expected to double to nearly 22 million by 2050. Existing magnification technologies enable people to read and see, but require them to be stationary. These glasses enable mobility. 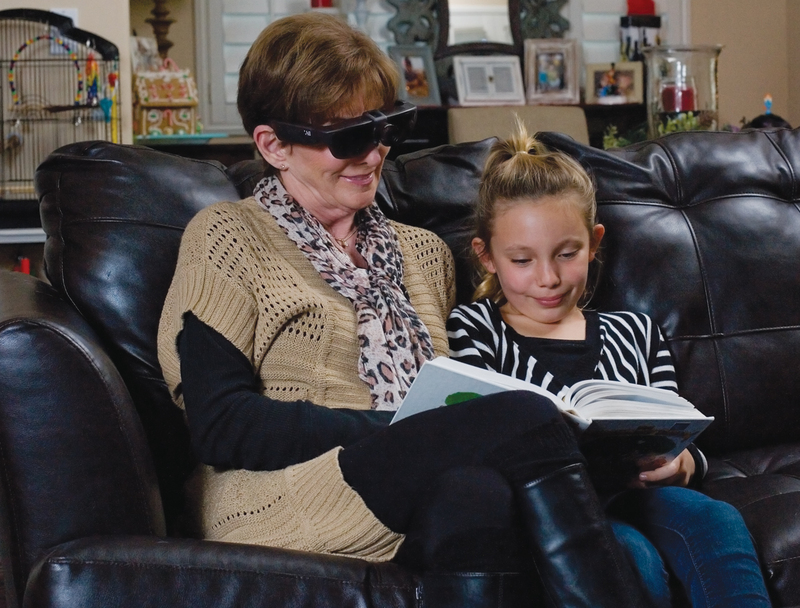 Nu Eyes combines San Francisco government contractor Osterhout Design Group’s augmented reality R-7 Smart Glasses with Newport Beach, California-based NuEyes’ lenses and software to enable individuals diagnosed with macular degeneration to see again. A camera sits on the bridge of the nose and projects images onto the glasses in front of the eyes. Users can adjust the settings with voice commands. The Nu Eyes smart glasses were recognized by the Consumer Technology Association Foundation as a key technology that improves lives in 2016. The product was also a Global Startup Finalist and was presented at the Aging 2.0 OPTIMIZE conference in San Francisco in October 2016. “Think of hearing aids for the eyes,” reads a description of the product from Aging 2.0. The glasses were made commercially available in May. Learn more: Visit nueyes.com, email info@nueyes.com, or call 1-800-605-4033. A product video is also available at vimeo.com/139669130.